The quickest drying, fastest tacking glue around. Cuts drying time by more than 50% and has the same superior holding power as the original Aleene's Tacky Glue. Saves time and makes gluing easier. All purpose, ideal for crafts, household use and hobbies. Dries clear and flexible. 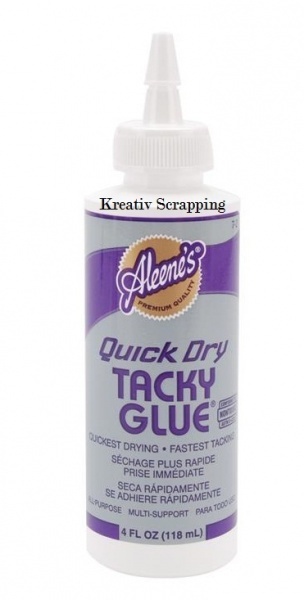 ALEENE'S-This tacky glue is a quick dry fast tack glue. Contains 4 ounces. Dries and tacks up faster than average craft glues. It cuts drying time by more than 50%. Dries clear and flexible. Non-toxic.